Retinoblastoma is the most common malignant tumour of the eye in children and accounts for about 3% of all childhood cancers. The tumours develop in the retinal cells which are developing rapidly in the early life. Retinoblastoma may occur in one or both eyes. This condition occurs when the nerve cells in the retina develop genetic mutations and these mutations cause the cells to continue growing and multiplying when healthy cells would die. The accumulating mass of cells forms a tumour. 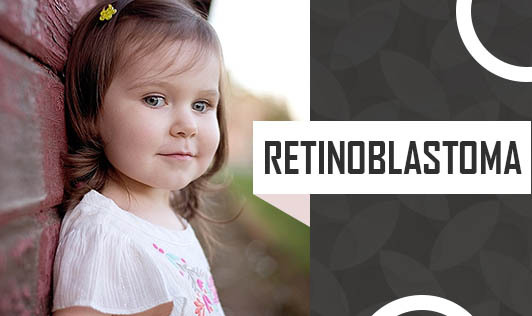 Retinoblastoma can spread to other areas of the body including the spine and brain too. In most cases, the cause isn't clear as to what causes the genetic mutations that lead to retinoblastoma. Most of these symptoms are quite common side effects of other eye conditions and don't necessarily mean that a child has retinoblastoma. Hence, it's important that you contact your doctor if you notice these signs or symptoms in your child!